Yet the health benefits are very real. 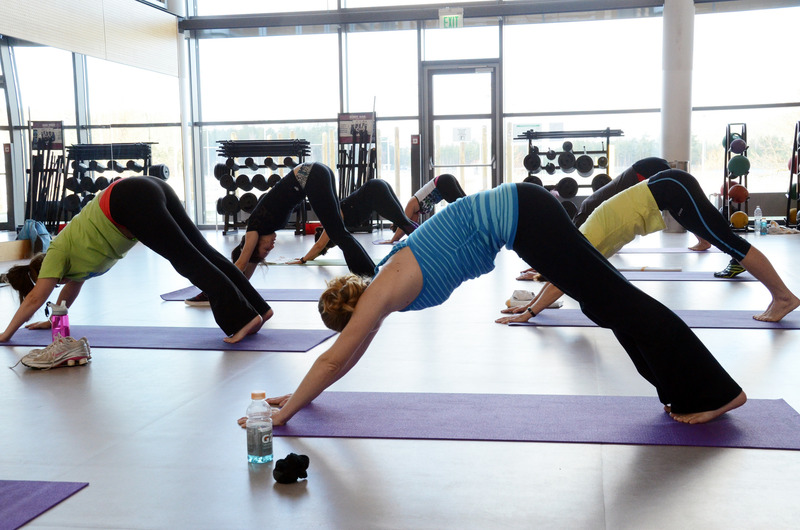 Yes, yoga can increase your flexibility, improve your balance, and decrease your cholesterol. A recent review in the European Journal of Preventive Cardiology shows that yoga reduces the risk of heart disease as much as conventional exercise. On average, yoga participants lost five pounds, decreased their blood pressure, and lowered their low-density (“bad”) cholesterol by 12 points. There is vast growing body of research on how yoga improves health problems including chronic pain, fatigue, obesity, asthma, irritable bowel syndrome, and more. As a psychiatrist, I am also naturally interested in the brain. While most people intuitively get that yoga reduces depression and anxiety, most people — even physicians and scientists—are typically surprised to find out that yoga changes the brain. The protection of gray matter brain volume is found mostly in the left hemisphere, the side of your brain associated with positive emotions and the relaxation response. Emotions like joy and happiness have exclusively more activity in the left hemisphere of the brain on positive emission tomography (PET) brain scans. The left hemisphere is also linked to the parasympathetic nervous system, the “rest and digest” network responsible for relaxation. This “neuroprotective” effect of yoga has also been found in brain imaging studies of people who meditate. In some regions of the brain, 50-year-old meditators were found to have the gray matter volume of 25-year-olds. These changes to the brain can occur within a few months. One study found brain changes after only eight weeks of a mindfulness-based stress reduction program. The regions of the brain responsible for learning, memory, cognition and emotional regulation showed growth. In contrast, the areas of the brain responsible for fear, anxiety, and stress shrank. But the truth is that the practice of yoga is not about changing the brain, body, headstands, or even about gaining greater happiness and joy. If it were, it’d be just like taking a spinning class or doing a set of lunges at the gym. Yoga aims toward transcendence of all those things. In a culture in which we rush from one day to the next, constantly trying to change our health, our body, or our emotions, or to plan our future, yoga opens up the possibility of connecting to what we already have — to who we already are. When people tell me that they want to try yoga but don’t because they aren’t “flexible enough,” I tell them yoga isn’t about attaining the perfect pose. Use as many blocks as you need. Modify the pose to feel comfortable in your own body. It’s not about being “good enough” or “right”: Yoga is about removing any judgment and letting us be present to who we are now. “Practice isn’t about trying to throw ourselves away and become something better. It’s about befriending who we are already. The ground of practice is you or me or whoever we are right now, just as we are.